This document summarizes 15 peer-reviewed, published papers regarding vitamin D and certain conditions. It uses a reference level of 25 ng/ml, which means that the percentage reductions are based on raising levels from 25 ng/ml to the amount showing the percentage reduction. 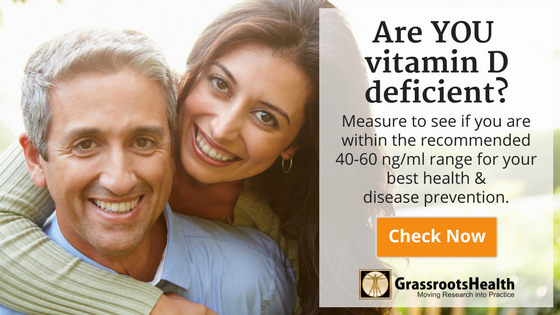 (25 ng/ml is the average vitamin D level in the US and Canada). 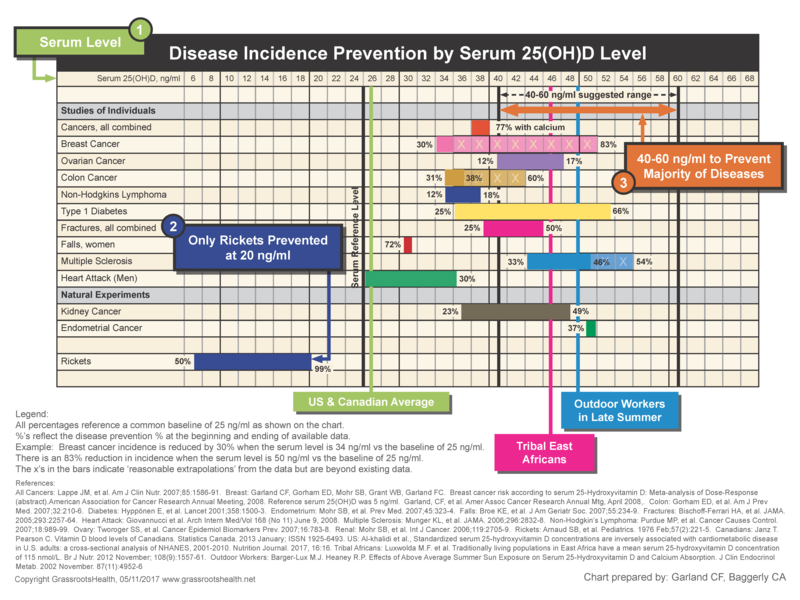 This document helps determine where you want your vitamin D serum level to be. Do you want to reduce your risk of cancer? Diabetes? Rickets? The next step would be to test your level with your doctor or through D*action. This document is good to bring with you to your doctor when receiving your vitamin D level analysis – since these are relatively new studies – your doctor might not know about them. This chart gives doctors a clear view as to why 48 scientists recommend that the population achieve blood serum levels of 40-60 ng/ml (100-150 nmol/L).